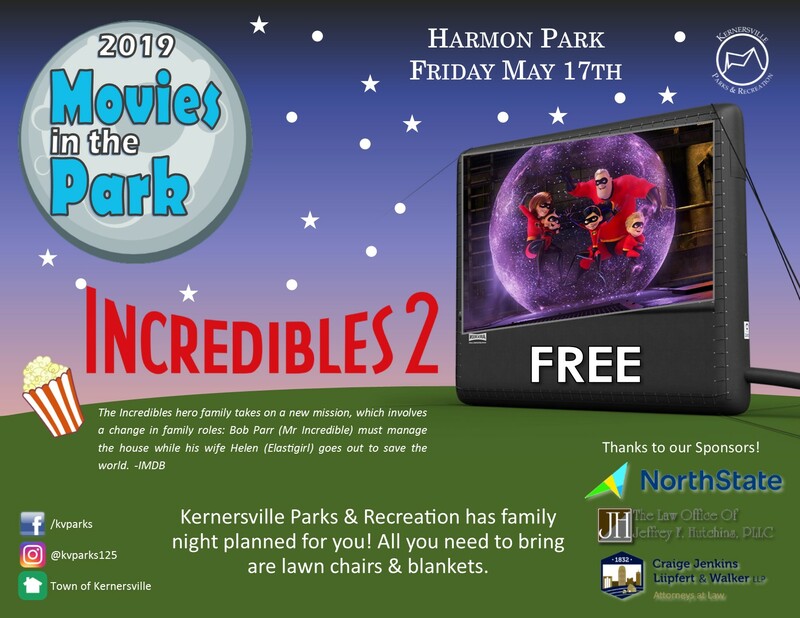 Join us this summer in Harmon Park for a fun FREE family event! May’s movie will be Incredibles 2! Bring everyone! Don’t forget you favorite lawn chair or blanket, and enjoy watching a movie. There will be fun games to play before it starts, as well as food to munch on! Movies begin at dusk. Which on May 11 is around 8:00pm. But come early for games, goodie bags and visiting our vendors. Incase the weather doesn’t cooperate, we will move the location to the Farmers Market Shelter at Rotary Park. We’ve let you know what food options we’ll have once they are confirmed. Can’t wait to see you! !